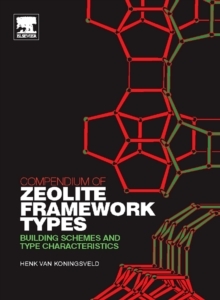 This compendium describes all known zeolite framework types. The first part gives a pictorial description of how the framework can be built using periodic building units (PerBUs). The PerBUs are built from smaller units composed of a limited number of T-atoms (such as Si, Al, P, Ga, B, Be etc.) by applying simple operation(s) to the smaller unit, e.g. translation, rotation. The zeolite framework types are analysed in terms of these component PerBUs. The second part covers the larger cages, cavities and/or channels in the zeolite framework together with the framework type codes (FTCs) in which they appear. In addition, two appendices are included for easy-referencing. Two appendices are added. The first giving a survey of cages as type characteristics with their FTCs. The second summarizing those channels and cavities that appear in more than one framework type. 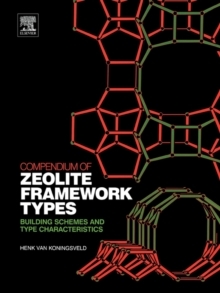 The Compendium of Zeolite Framework Types contains complementary information to the data in the "Atlas of Zeolite Framework Types" (Baerlocher et al (2001) Elsevier, London). The latter contains the topological symmetry, unit cell data and pore dimensions.